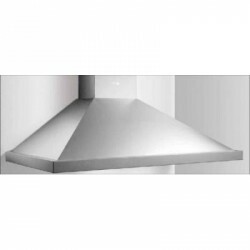 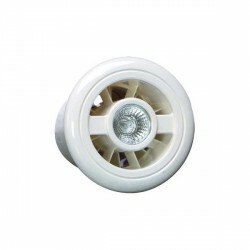 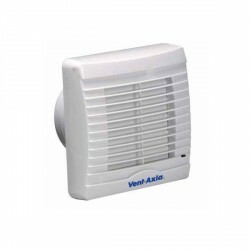 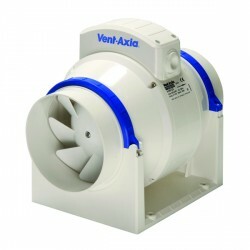 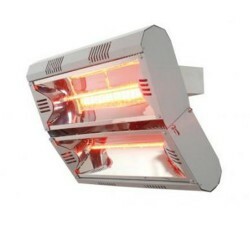 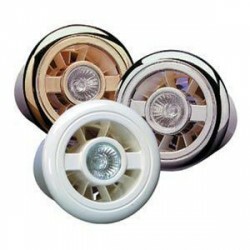 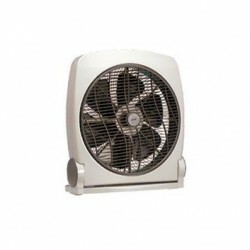 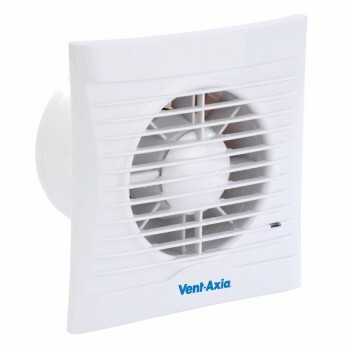 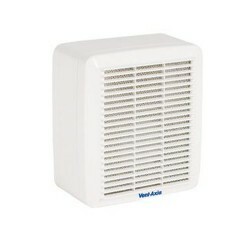 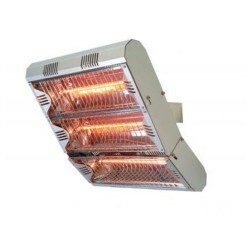 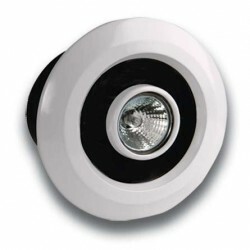 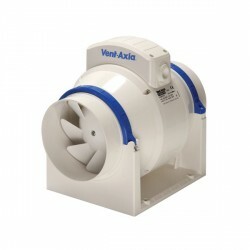 Vent-Axia Silhouette 100T 100 mm Extractor Fan 454056B at UK Electrical Supplies. Vent-Axia's Silhouette 100 range is designed for moden living environments, with its slim profile of just 17mm allowing the unit to blend in with wall surfaces for an unobtrusive installation. 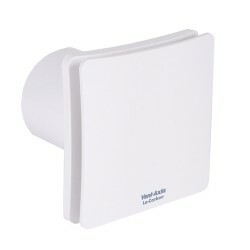 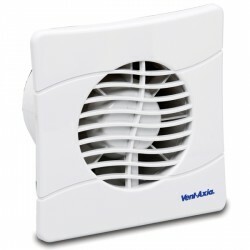 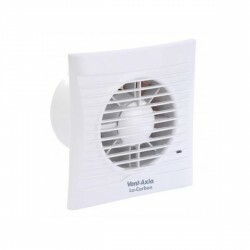 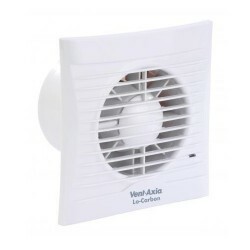 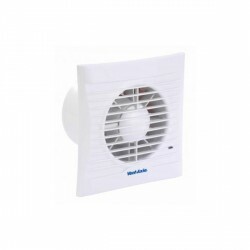 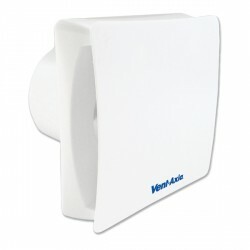 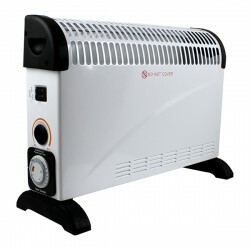 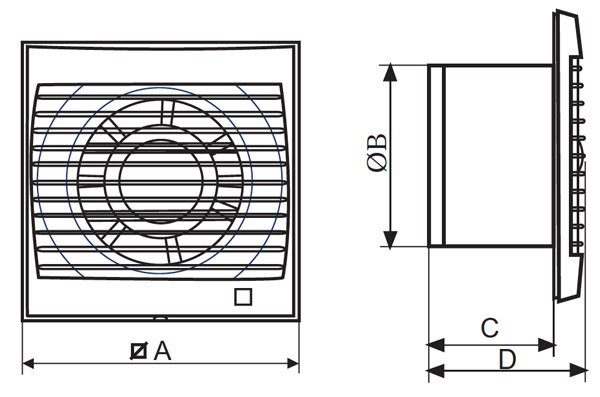 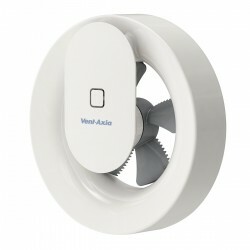 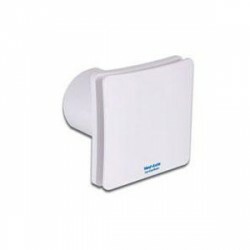 This extractor fan is double insulated and packs a performance of 26 l/s with power consumption at just 16 W.
The Vent-Axia Silhouette 100 series of extractor fans feature several options for controlling the unit - a PIR sensor to activate it upon detecting movement, a humidistat that activates it at a certain level of humidity, or an overrun timer that can be adjusted between 5 and 30 minutes.